Discussion in 'The Tiger's Den' started by Cajun Sensation, Mar 25, 2013.
Who ha pullin for CS? 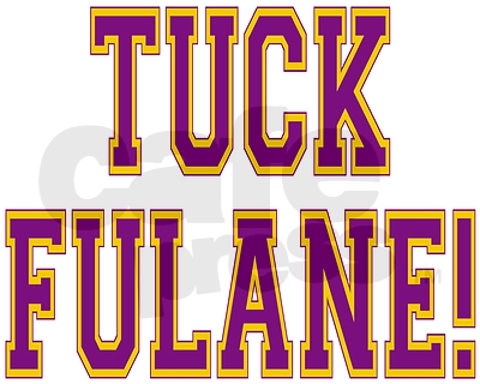 I'm pulling for LSU, but I'll be wearing an LSU hat and a Tulane jacket. Is anyone going to the LSU vs MIZZOU game this weekend?? Only to you, Mr Commitment. Tonight is the 301st installment of a series that has gone on for 110 years. "It’s always exciting to go down to New Orleans and face Tulane in a tremendous environment for college baseball, and our players are definitely looking forward to the opportunity." "The LSU-Tulane rivalry has been a huge rivalry for many years," Tigers' coach Paul Mainieri. "Tulane has had a great program for as long as I can remember." "I have the greatest respect for Tulane and their baseball program," Mainieri said. "It’s not a good program, it’s a great program." "When LSU and Tulane play you throw the records out. That doesn't have any bearing on this game. I'm sure we're going to get Tulane's best shot." "We have too much respect for every team we play to look past any opponent, especially one as good as Tulane," he said. "All we want to do is keep playing good baseball every single day." "Obviously you want to play well against them (LSU) because of what kind of program LSU has," Jones said. "It's big for us, and it's big for our fans and always has been"
"They've got a phenomenal club and (are having) a tremendous year"
"It'll certainly be a big challenge for us...it's an opportunity for us--a tremendous opportunity."